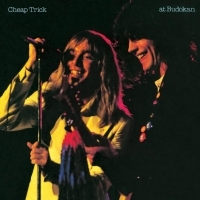 In 1979, Cheap Trick bolted to rock superstardom with their mega worldwide platinum release Cheap Trick At Budokan. This classic album set the stage for what would become one of the finest hard rock recordings of all time. Featuring smashes like I Want You To Want Me, Surrender, and Fats Domino's Ain't That A Shame, this LP was a fixture at radio for the next decade and beyond. With the great line-up of Rick Nielsen, Robin Zander, Bun E. Carlos and Tom Petersson, Cheap Trick At Budokan will forever be a milestone in their career and in the live rock recording medium in the classic rock era. Friday Music is very proud to announce the Cheap Trick 180 Gram Audiophile Series with this stunning new audiophile recording. Mastered from the original Epic Records tapes by Friday Music's Joe Reagoso and pressed at RTI for Friday Music, this limited edition audiophile recording will be one of the most anticipated releases of the year.